*McNichols Building will be open to the public Dec. 8 and 9, with limited viewing access to the artwork. 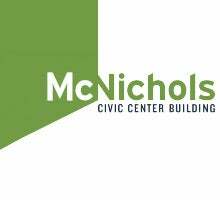 The third floor of the McNichols Buidling will be closed to the public all day and the second floor will be closed after noon on Dec. 16. On Dec. 22, the building will open at 1 p.m.